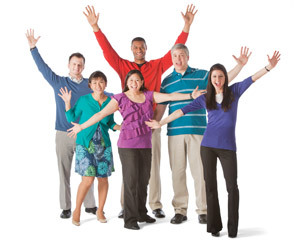 To learn more about the Central Connecticut Coast YMCA please take a look at our President’s Newsletters. Each year, millions of Americans turn the calendar to the New Year and make resolutions. CENTRAL CONNECTICUT COAST YMCA TEACHES WATER SAFETY DURING SPLASH WEEK! The Central Connecticut Coast YMCA recently awarded their H. Richard Brew Volunteer Service Award to Michael Leone of Stratford, CT for his long time service and commitment to the Y.
Sam’s Club Giving Program grant will help advance initiatives to support the health and well-being of Greater New Haven residents. November is National Diabetes Awareness Month—Are you at Risk? Central Connecticut Coast YMCA Celebrates Water Safety during SPLASH WEEK! One in three Americans has prediabetes, yet few realize they are at risk. The Central Connecticut Coast YMCA offers healthy eating and physical activity tips to help residents live healthier. The Bridgeport YMCA joins national effort to serve 5 million healthy meals and snacks to 100,000 children to help keep them well-nourished. Summertime means pool time for many kids and adults, as they venture to their favorite spots to swim, play and create lasting memories. Whether it’s the pool, beach, water park or lakefront the Central Connecticut Coast YMCA reminds the community to keep safety first when in or around the water. With this in mind, the Y offers swim programs that teach water safety skills and give kids and adults the chance to explore the many health benefits of swimming. The Central Connecticut Coast YMCA is announcing the week of May 20 – 26, 2012 as the Central Connecticut Coast YMCA Water Safety Education Week. As Memorial Day approaches and summer starts, families and children will be having more fun outside. To help keep kids safe around the water, the Central Connecticut Coast YMCA branches anticipate teaching over 1,200 about water safety during the week of May 20-26, 2012.